Good Morning Everyone!! 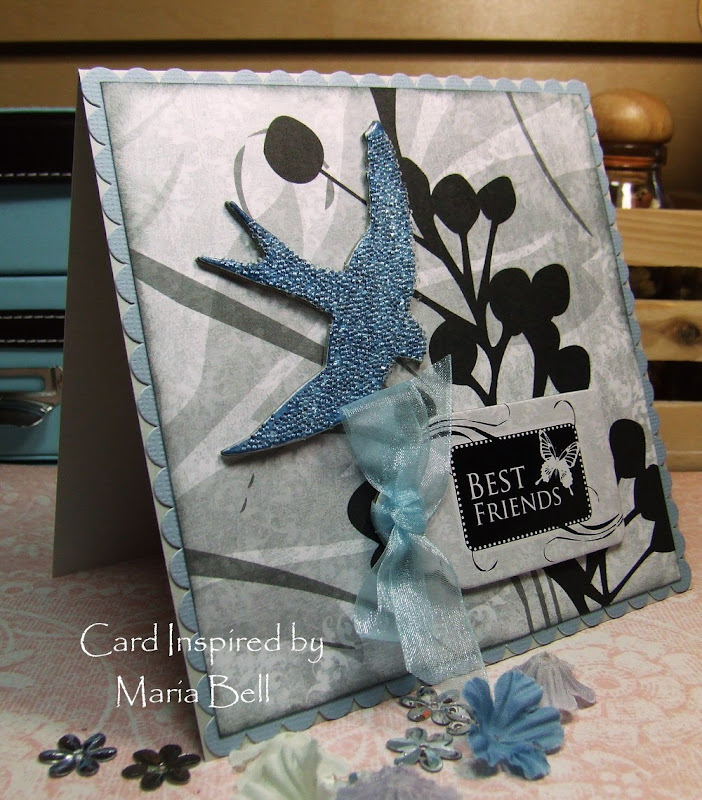 I worked on this card this morning. I wanted to create something other than a holiday card. I had bought a package of chipboards and I've been wanting to use them. Do you see the bird? Well, it was originally colored gray and I didn't have a "blue" colored one to match my design. I initially colored it blue with my Copic markers but it didn't look very nice so I covered it with crystal beads. I think it looks much better now. I decided to keep the design simple because I think the designer paper is so pretty that I didn't want to cover it up. Here is a close up of the beaded chipboard. It was fun altering the bird. This is beautiful Maria. I love what you have done with the bird. It is so effective. 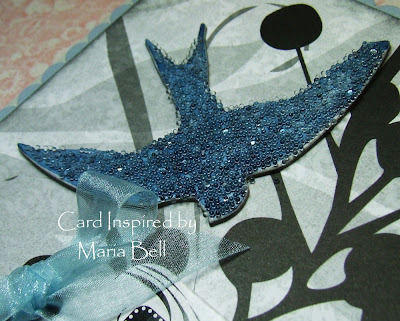 What a beautiful card and I love the beaded bird Maria!!! OMGosh Maria! You have out done yourself yet again girl! This is just STUNNING!!! Luv everything about it & that bird...so elegant! 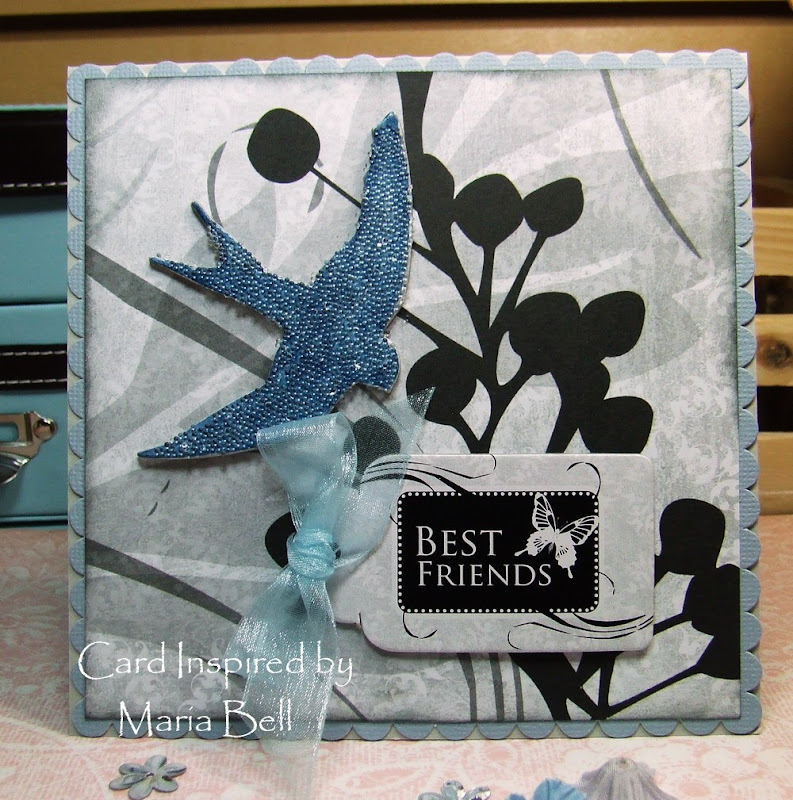 Very elegant card! Love the bird! The beads look amazing! Paper, ribbon, tag - everything is just simply beautiful! What awesome details! Love the look of the beads!